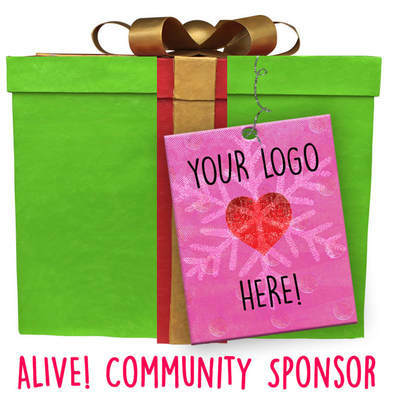 ​Join Our Community Sponsors for ALIVE! Be an ALIVE Sponsor! We invite businesses, organizations, individuals, and families to be part of our Winter Wonderland installation and become ALIVE! sponsors to support youth and the arts in North Texas! 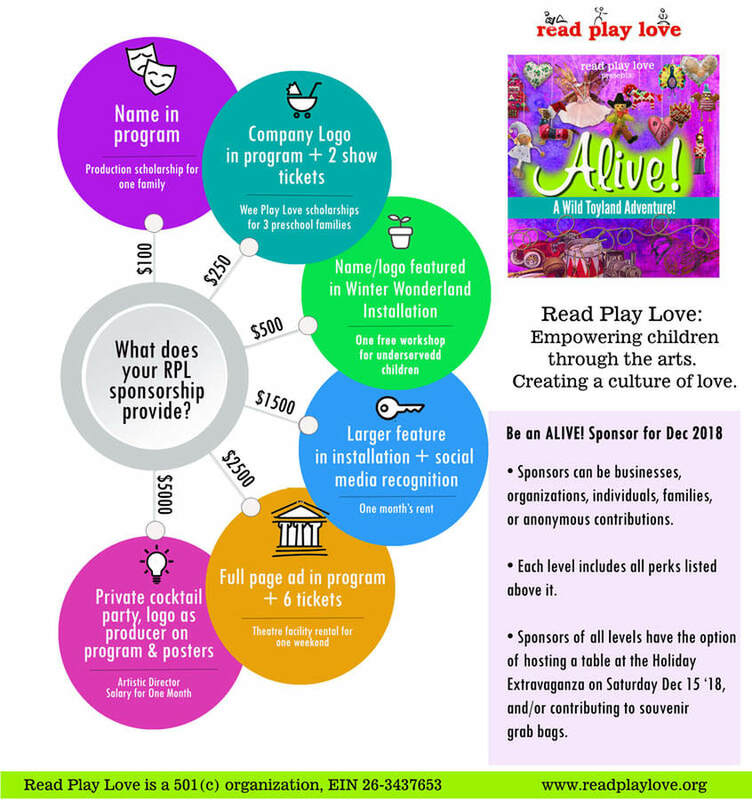 About the Event: Read Play Love is a non-profit organization whose mission is to empower children through the arts and create an inclusive culture of love. RPL will transform the Owenwood Neighbor Space in East Dallas to be an innovative performance space and whimsical winter wonderland! The world premiere of a new musical, “Alive!” will be performed Dec 14-16, along with a Holiday Extravaganza & Craft Fair on Sat Dec 15. 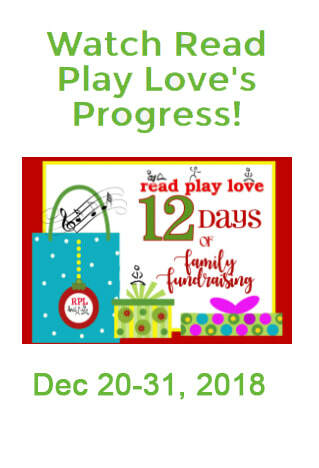 We are excited to provide entertainment and inspiration to both the immediate East Dallas neighborhood as well as reaching in from all across the metroplex, widely publicizing this free family event. We offer our sponsors a variety of creative opportunities for community visibility. for example, pivotal to the wonderland scene will be a fantastical installation of larger-than-life gift packages, imprinted with the logos of our sponsors. This installation will be given prime placement within winter wonderland backdrops, providing excellent exposure in the community!